Take a cooker add oil and ghee. Put pepper corns, Ginger paste, green chillies, jeera, hing, curry leaves. 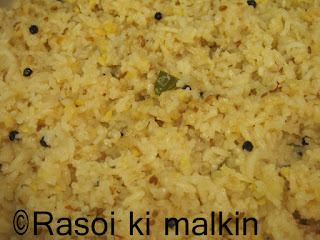 After this is fried add the washed rice and daal into the pan. Fry for 5 mins. Now add measured water into this and add salt to taste. Now close the lid of the cooker and let it cook. Switch off the stove after 3 whistles. 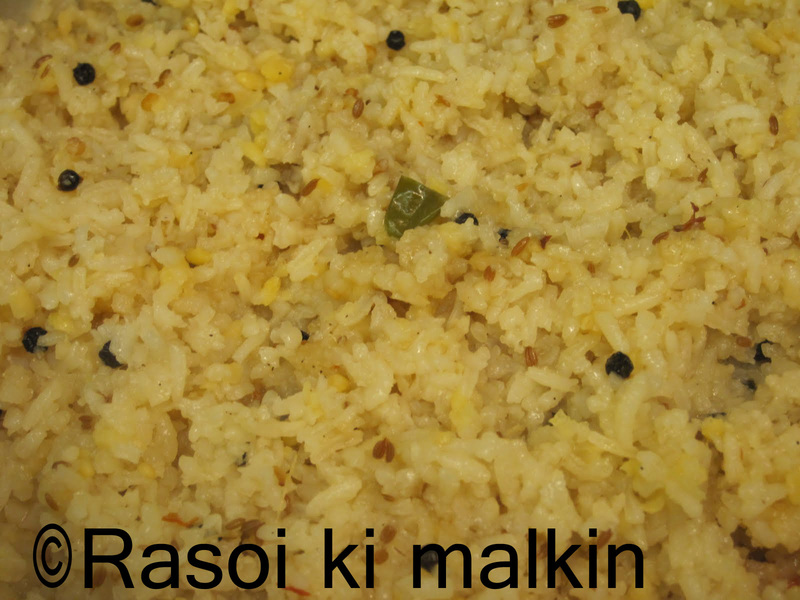 You can take this as is, or with any chutney or pickle or sambhar. Note: If you like more spicy you can also add pepper(powder) while frying all the seasoning.